Size Measurement: Size S: Waist: 24.4"-29.1"; Hips: 40.16"; Length: 31.5" Size M: Waist: 25.98"-30.7"; Hips: 41.7"; Length: 31.9" Size L: Waist: 27.6"-32.3"; Hips: 43.3"; Length: 32.3" Note: Please check your measurements to make sure the item fits before ordering. Some customers reflected that they ordered from other sellers, and the quality is very poor. So before order, please confirm the pants be purchased from HUILAN. 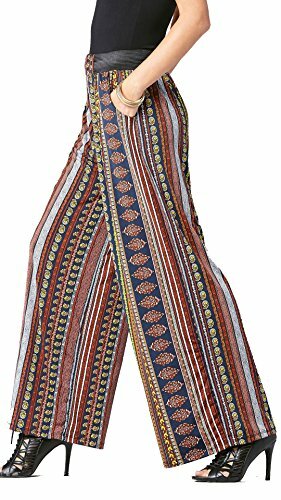 LOSRLY Women Wide Leg High Elastic Waist Printed Boho Palazzo Pants Plus SizeSize Chart(Inches)S: Waist 25-30, Hip 42-46.5, Outseam 41M: Waist 27.5-32.5, Hip 43.5-48, Outseam 41L: Waist 29-34, Hip: 45-49.5, Outseam: 41XL: Waist 32.5-37, Hip 47-52, Outseam: 41XXL: Waist 36-41, Hip 51-56, Outseam: 41Elasticity: Medium ElasticityNote:1.There maybe 1-2 cm deviation in different sizes, locations and stretch of fabrics. Size chart is for reference only, there may be a little difference with what you get.2.Color may be lighter or darker due to the different PC display.3.Wash it by hand in cold water, hang to dry in shade, prohibit bleaching.4. There maybe a slightly difference on detail and pattern of this pants. 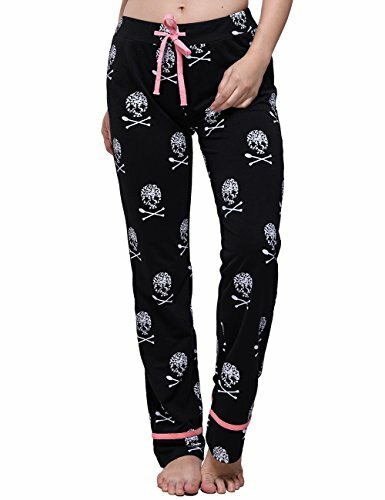 Material: Polyester, Spandex Casual, Skull Printed, Wide Leg, Drawstring Elastic Waist, Comfortable, Palazzo Pants Lounge The Products without the Trademark is Counterfeit. Garment Care: Machine washable / Hand wash recommended / Do not bleach We promise all of them are in the good quality. If you are not satisfied with it, we will give you a full 100% money back guarantee. If you are satisfied with our product, pls. give us feedback and let other customers to know how good the product is. If our product is unsatisfactory, pls. do not hesitate to let us know, we'll do our best to improve the quality and services based on customer's feedback. About Color: Due to monitor settings, monitor pixel definitions, we cannot guarantee that the color you see on your screen as an exact color of the product. About size: Pls get measured before placing an order. Tag size is Asian size, which runs much smaller than US/CA size, the size chart gives the corresponding US/CA size for your reference. If you run between sizes and are not sure what size to get, we would suggest going up a size. 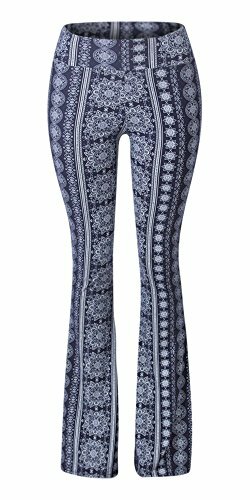 For a hint of retro decadence, throw on a pair of these ultra light palazzo pants. 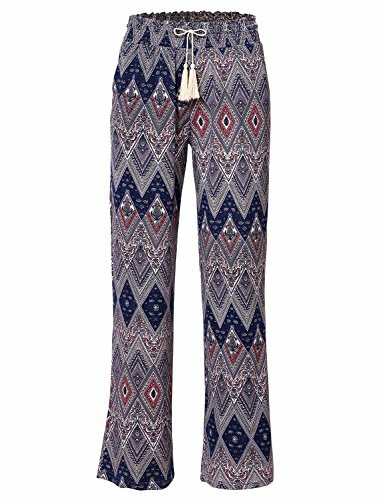 Perfect for those warm summer nights, these comfortable women's pants offer true statement style. 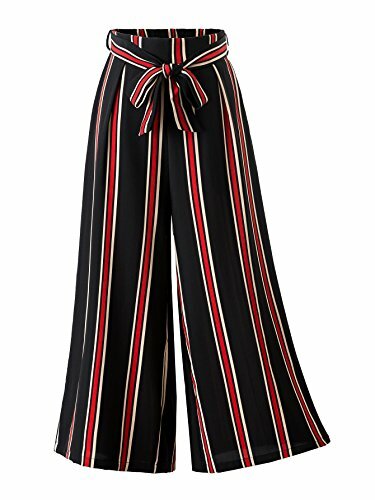 With an elastic waistband, these effortless pants will adjust with you from cocktail chic through the end of the dinner party. Our stylists love putting them with the Halter-Inspired Everyday Cami, a gold chunky costume jewelry necklace and a killer pair of heels! 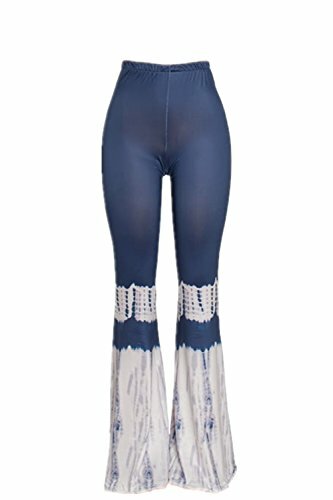 To complete your perfect trending '70s inspired look, these light pants include pockets on the sides where you can keep your phone handy to capture your #ootd via selfie.In an incredibly soft fabric, these palazzo pants are going to become your new summer staple. For even more adaptability, turn these high waisted pants into mid rise pants with a simple fold-over of the adjustable waistband. 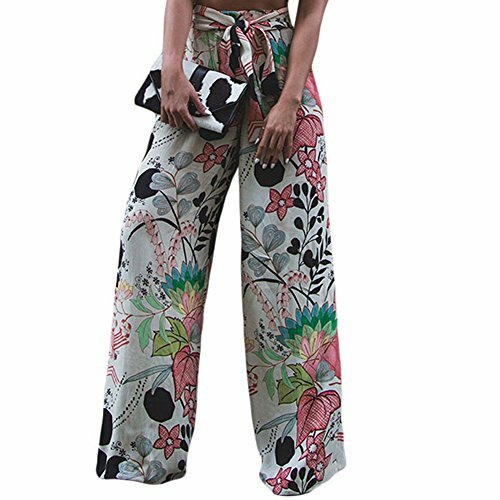 With a wide range of colors and prints available, your closet can work for you once again!Women's Palazzo pants in a variety of fun and fashionable colors and prints. One size fits most. Great for most occasions or just to lounge in. Available in solid and beautiful and fun prints! Limited quantities on a limited run, get yours before they are gone! 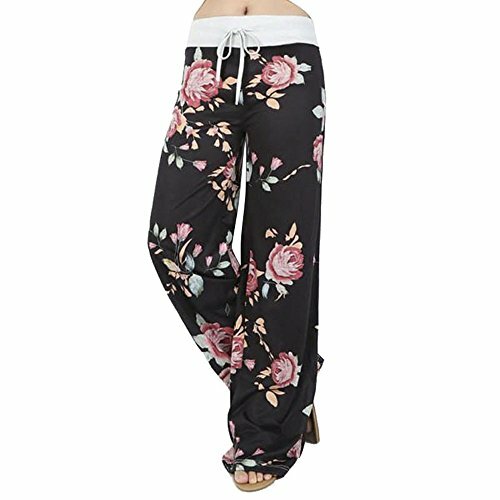 Compare prices on Wide Leg Printed Pants at ShoppinGent.com – use promo codes and coupons for best offers and deals. Start smart buying with ShoppinGent.com right now and choose your golden price on every purchase.